I’ll show you 2 different ways for rebranding PLR ebooks (private Label Rights). The most crucial thing is rebranding the ebook covers with a new name and including the rebanded details like your name, website, and brand-new ebook title. I’ll show you how to rebrand the PLR ebook covers with photoshop and without photoshop. Then resell it on your own digital product store & build your own list. * Get Access to 5 BRAND NEW software tools, plus..
Get Your Hands On One Of The Biggest PLR Products Ever! 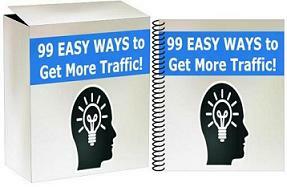 Over 1,000,000+ PLR article content with over 2000+ niche categories. $1 PLR Solo Ad List Building Video Package! [$5 PLR] FIRESALE: 8 QUALITY VIDEO TRAINING PACK! This is a special Halloween Launch. Normally it is not a good idea to launch on the weekends, and especially NEVER on a Holiday! Either the internet is a Ghost town or not…I’m launching anyways!